February 2012 the WAW has been published. This new magazine contains amongst others an interview with me, written by Harper T. Jensen, pictures of my paintings recently made in Ålvik, Norway, photographs of the Norwegian landscape, my Norwegian friends and other artists in residence. The Australian poet Ross Donlon wrote a poem inspired by one of my paintings. 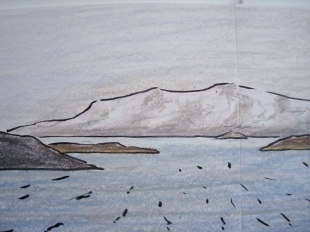 In 2012 I will work again as an artist in residence in the little village Ålvik in Hardanger. In September 2012 Wim van den Toorn and I will exhibit our Norwegian paintings in Gallery Harding Puls, Norheimsund, I am looking forward to our collaboration. Summer 2011 I worked for the first time in this beautiful area in Kunsthuset Messen for a period of three months. 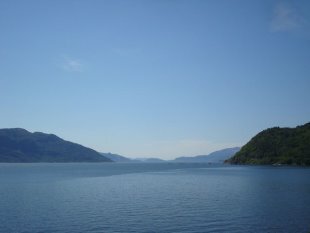 I had a magnificent view at the Hardangerfjord. Nothing is going on there, so I am almost completely isolated, which is a marvelous condition to concentrate on my painting. In 2011 I have had several shows of my paintings in the Netherlands. I also did an artist talk to explain my motives, developments and opinions about art. I also had a presentation of my work in Ålvik and participated in a groupexhibition in Norheimsund. Interviews and articles about my work have been published in 2011 in several papers and magazines, like Bergen Magazine, Villa d'Arte, Straatjournaal and Atelier. The famous Willem Kuipers from Galery Memling tried to analyse my paintings in an article published on www.wiewiewie.nl. I also had several radio interviews. For a Belgian book published November 2011, I wrote an article about being both an artist and an entrepreneur. My contribution has also been translated into French. I also wrote an article about art and reality for a book about art and science, published by Leiden University Press. To reach a broader audience I started to make high quality digital prints from a selection of my paintings. These so-called gicleeprints are made by an experienced printer and personally signed and numbered by me. In 2010 I started with a weblog (in Dutch). 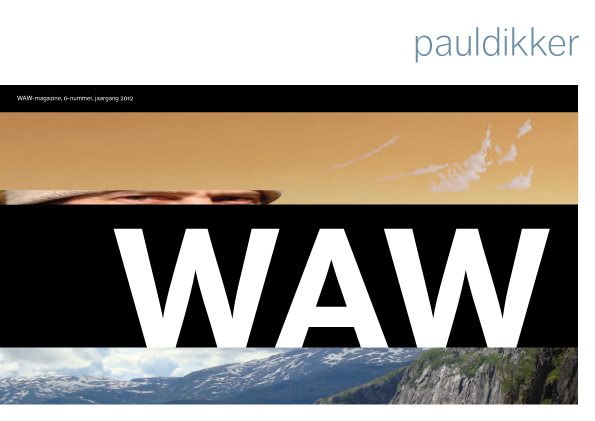 See pauldikker.blogspot.com. I am also on facebook where I show my daily activities as an artist. For my friends on facebook I sometimes have special offers. 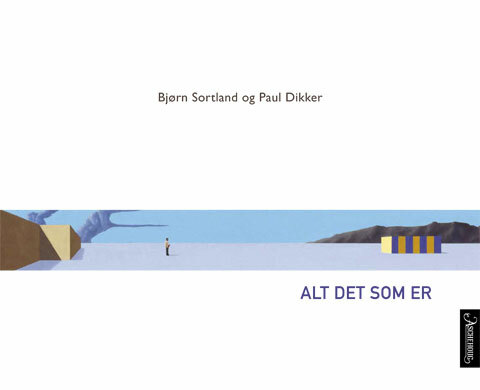 Spring 2010 our book 'Alt det som er' (all there is) has been launched. The first printing run (2500 books) has been sold out already in the autumn. A second impression has been published in October 2010. In the book there is a novel written by the Norwegian writer Bjørn Sortland (www.bjornsortland.no) and 49 paintings in full color, made by me. Bjørn wrote his text after he had looked closely to my paintings, and after he finished it, I made some paintings based on his silent and poetic story. So there was a real co-operation between the two of us. Our book has been published by Aschehoug Forlag (Oslo), with support of the Norwegian Cultural Board (Norsk Kulturråd). The Cultural Department has bought 1500 copies of the book to spread it all over Norway, in particular into all the libraries. The Dutch publishing house 'Nieuw Amsterdam' used again one of my paintings on a bookcover. 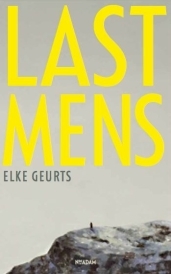 Now it is a detail of 'Panoramic view' that was used for 'Lastmens', the new book written by Elke Geurts. 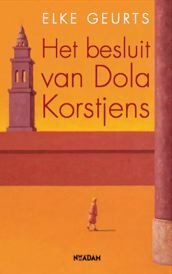 In 2007 they published 'Het besluit van Dola Korstjens' (the decision of Dola Korstjens), also written by Elke. On that bookcover a detail of my painting 'Glow' has been used. February 2010 I celebrated my 25th anniversary being an artist with a jubilee-exhibition in an old weaving-house in Zaandijk, the Netherlands. Lots of people dropped in to look at my new paintings and have been part of the festivities. For instance my friend the composer and guitarplayer Ezequiel Menalled gave a performance with folkmuziek from Argentine. Most of the paintings I showed at the exhibition were completely new. I have made them in Bergen, Norway, where I was offered a second residency as an artist at USF. 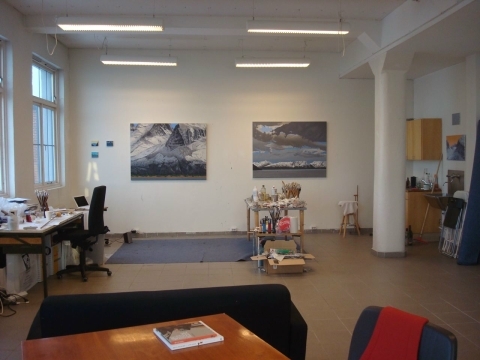 I have been in Norway from October until December 2009 and I had an extreme productive period in a beautiful studio. Earlier that year I had several exhibitions in Norway and the Netherlands. The city of Diemen bought one of my paintings after I exhibited them in their cityhall. 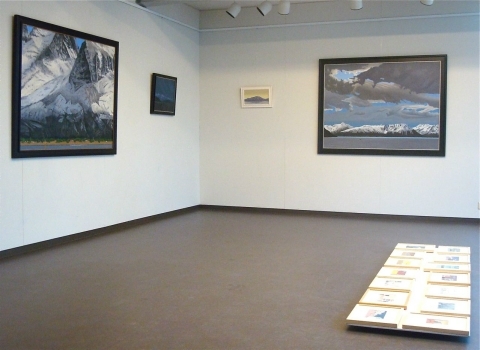 In June 2009 I have had a solo-exhibition in Arendal in the South of Norway. 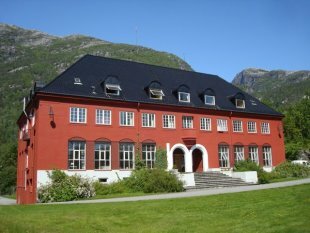 Actually I am frequently working and exhibiting in Norway, since I have been invited in 2006 for the first time as an artist in residence by the Kulturhuset USF. In 2007 I have exhibited in Galleri Voss and in the Oslo Museum, which also purchased one of my paintings. Generally spoken the reception of my work in Norway is quite good. The Norwegian people seem to like the way I transform their natural environment into the pictural scenery of my paintings. Several papers have paid attention to my work. 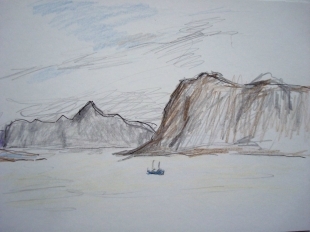 After my first visit to Norway, landscape has become more and more a prominent theme in my work. Concerning content I am touched by the silence and grandiosity of the landscape; the mountains, the sea and the clouds as they are in and for themselves. Using nature in this way has challenged me to present it in my own formal-figurative style instead of copying it. 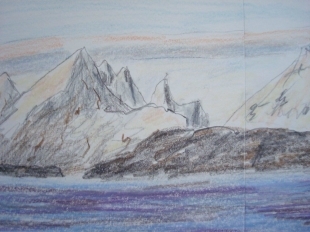 My new paintings are also based upon drawings and photo's which I have made in January 2008 during a trip from Bergen to the North Cape, the most Northern point of Europe, and even a bit further to Kirkenes, quite close to the Russian border. 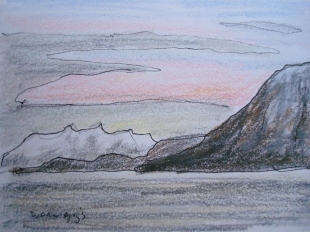 On the invitation of a Dutch art collector who lives in Norway, I have made that wonderful sea voyage with the shipping company Hurtigruten along the coast of Norway. The landscape was of an enchanting beauty. In a special spring-edition about landscape and art the Dutch Magazine kM has paid attention to my Norwegian landscapes. I have been interviewed by the famous Dutch journalist Anton Staartjes. I am glad that five pictures of my paintings were printed to illustrate my own particular view on landscape and art. I was also happy with the co-operation with the artist Jac Bisschops in two exhibitions about the theme 'Abstract Art versus Figurative Art'. Even though there is a significant difference in the external appearence, we have a same sort of approach of our profession. ?There are definite similarities in the way we use our pictorial means, like use of colour and composition. January 2009 I finished eleven paintings that I have made on commission. Put together in one steel frame, they form one shiny composition. I still get enthusiastic comments in regard to my painting 'Somewhere else', which, in May 2006, had been elected as the third best Dutch work of art in the past fifty years. The Dutch public was able to vote for one of fifty prominent works of art, which meant to represent the development of visual arts of the last half century in Holland. The representative artwork was meticulously chosen by a panel of twenty-six well-known art experts, a group of museum directors, art collectors and art lovers.